Yukon Mighty SealWheel seal.Yukon Mighty seal. Front outer replacement axle seal for Dana 30 and 44 IHCFront outer replacement axle seal for Dana 30 and 44 IHC.Yukon Mighty seal. Yukon Mighty SealFront wheel seal.Yukon Mighty seal. $17.53 Quantity 1 2 3 4 5 6 7 8 9 10 11 12 13 14 15 16 17 18 19 20 21 22 23 24 25 26 27 28 29 30 YMS472258 - Replacement outyer seal for Dana 30 Bronco and CI Vette side seal. Replacement outyer seal for Dana 30 Bronco and CI Vette side seal.Replacement outer seal for Dana 30 Bronco CI Vette side seal.Yukon Mighty seal. $22.76 Quantity 1 2 3 4 5 6 7 8 9 10 11 12 13 14 15 16 17 18 19 20 21 22 23 24 25 26 27 28 29 30 YMS473814 - Outer replacement seal for Dana 44 and 60 quick disconnect inner axles. Outer replacement seal for Dana 44 and 60 quick disconnect inner axles.Outer replacement seal for Dana 44 and 60 quick disconnect inner axles. 2.625" OD.Yukon Mighty seal. Replacement Outer tube seal for Dana 30Replacement Outer tube seal for Dana 30.Yukon Mighty seal. $17.88 Quantity 1 2 3 4 5 6 7 8 9 10 11 12 13 14 15 16 17 18 19 20 21 22 23 24 25 26 27 28 29 30 YMS710266 - Front outer axle seal for '93-'98 Toyota T100. Front outer axle seal for '93-'98 Toyota T100. Front outer axle seal for '93-'98 Toyota T100. 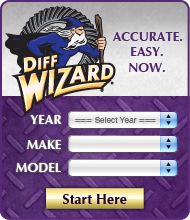 7.25" IFS RIGHT outer axle seal7.25" IFS RIGHT outer axle seal.Yukon Mighty seal. 7.2" stub axle seal7.2" stub axle seal.Yukon Mighty seal. $11.88 Quantity 1 2 3 4 5 6 7 8 9 10 11 12 13 14 15 16 17 18 19 20 21 22 23 24 25 26 27 28 29 30 YMSS1017 - Outer axle seal for Jeep Liberty front. Outer axle seal for Jeep Liberty front.Outer axle seal for Jeep Liberty front. 7.5" Reverse Tacoma & Tundra Right hand stub axle side seal7.5" Reverse Tacoma & Tundra Right hand stub axle side seal.Yukon Mighty seal. $24.16 Quantity 1 2 3 4 5 6 7 8 9 10 11 12 13 14 15 16 17 18 19 20 21 22 23 24 25 26 27 28 29 30 YMST1014 - 7.5" Reverse Tacoma & Tundra left hand stub axle side seal. 7.5" Reverse Tacoma & Tundra left hand stub axle side seal.7.5" Reverse Tacoma & Tundra left hand stub axle side seal.Yukon Mighty seal. YMS710266 - Front outer axle seal for '93-'98 Toyota T100. YMSS1017 - Outer axle seal for Jeep Liberty front. YMST1014 - 7.5" Reverse Tacoma & Tundra left hand stub axle side seal.